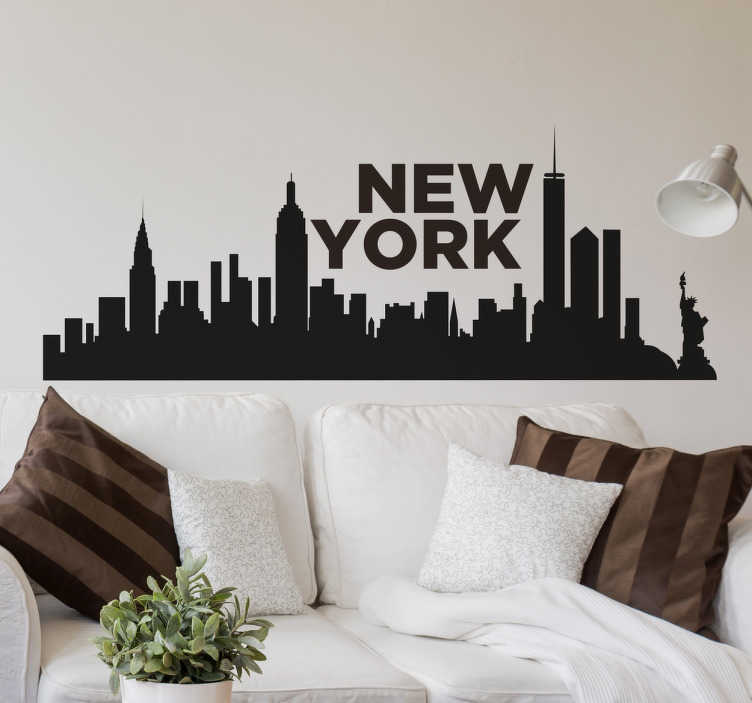 If you for some reason have a connection to the Big Apple, show your love to the city that never sleeps to visitors to your home with this monochrome, stylish representation of the New York City Skyline in a wall sticker! Perfect for livingrooms, bedrooms, hallways and even outdoors, this sticker is made from a high quality and anti-bubble material that is sure to last! This decorative vinyl is available in a variety of different sizes!